The Low-Down: Are Inaccurate Google Maps Travel Estimates Discouraging Tourism? Are Inaccurate Google Maps Travel Estimates Discouraging Tourism? Google Maps is partially responsible for low visitation numbers. “People aren’t coming to these parts of Australia because Google Maps isn’t updating its mapping.“People don’t come to these areas because the travel times are incorrect.” With little mobile phone coverage on the long roads through south-west Queensland, the issue of safety is also a concern. “People aren’t coming to places because they think it takes too long, or they’re missing opportunities to refuel and they’re getting sent off on another road that has no fuel. From dinosaurs in Winton and Eromanga to the world’s most remote racing event in Birdsville, it’s understandable why the Queensland Government has dubbed 2019 as the year for outback tourism. But business owners in the state’s south-west say travel times on Google Maps are inaccurate and could deter tourists from making the trip. Mr Simpson said the drive is closer to four hours with no stops. Also concerned is Robyn McKenzie, general manager of the Eromanga Natural History Museum, which holds the remains of prehistoric creatures, including what is thought to be Australia’s largest dinosaur. “You can’t actually see these bones anywhere else in Australia, in fact you can’t see them anywhere else in the world,” said Ms McKenzie, pointing to a full-scale 3D-printed replica of the giant sauropod’s bones. Despite the colossal drawcard for tourists, Ms McKenzie believes Google Maps is partially responsible for low visitation numbers. 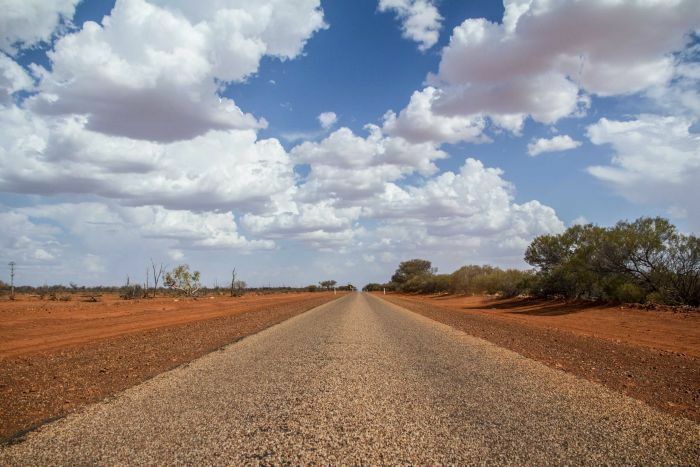 With little mobile phone coverage on the long roads through this pocket of south-west Queensland, the issue of safety is also a concern for Ms McKenzie. “We’ve had people travelling here redirected on to people’s properties and that becomes a safety problem and a privacy issue,” she explained. Over the past three years Ms McKenzie has tried contacting the multinational corporation herself and through the three tiers of government. “It just goes into the too hard basket,” Ms McKenzie said. Mr Simpson’s pub, the Windorah Western Star Hotel is a little more than 200 kilometres north of Eromanga.